If you’ve never been to R.A.M. 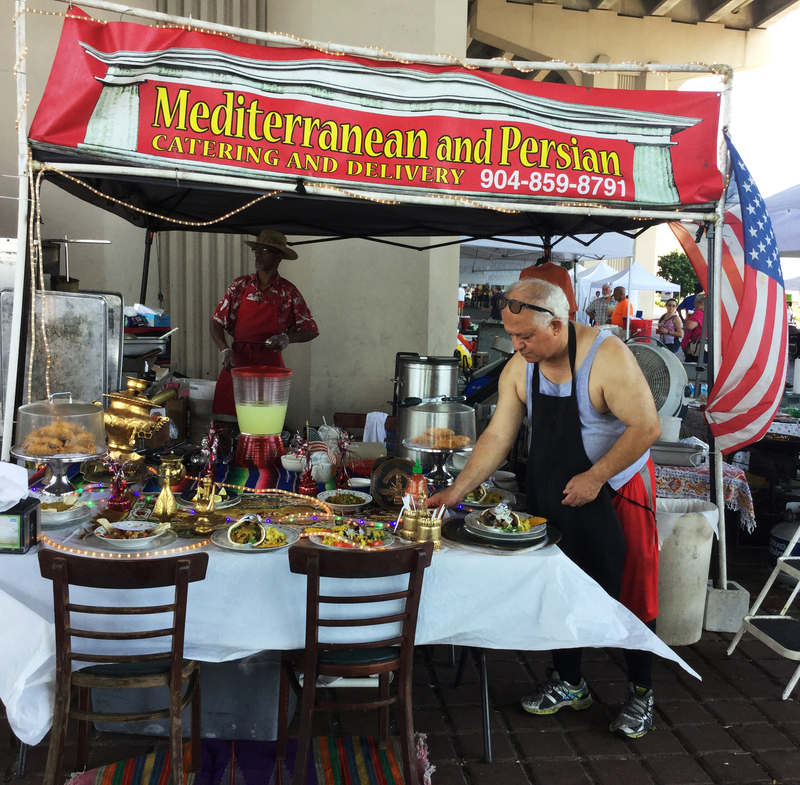 (Riverside Arts Market) you’ve missed a fun piece of Jacksonville’s melting pot culture. Every Saturday morning in Riverside, local vendors bring their wares, ranging from art to organic items to sell, while local acts take the stage and provide free entertainment to the hundreds (if not thousands) of visitors every Saturday. Writer Claudia García, takes us on a visual tour of a Saturday at the Riverside Arts Market. 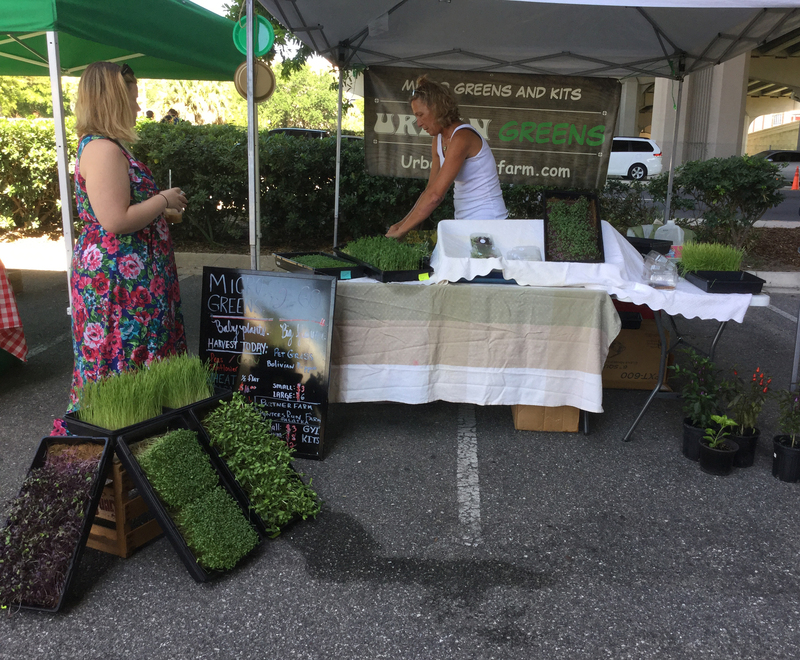 In Jacksonville, Florida, every Saturday from March through December on a regular schedule of 10 a.m. to 4 p.m. under the Fuller Warren Bridge at 715 Riverside Avenue, the Riverside Arts Market (RAM) welcomes local farmers, local artists and food vendors to sell their products. This grower Urban Greens Farms sells green plants and vegetables. 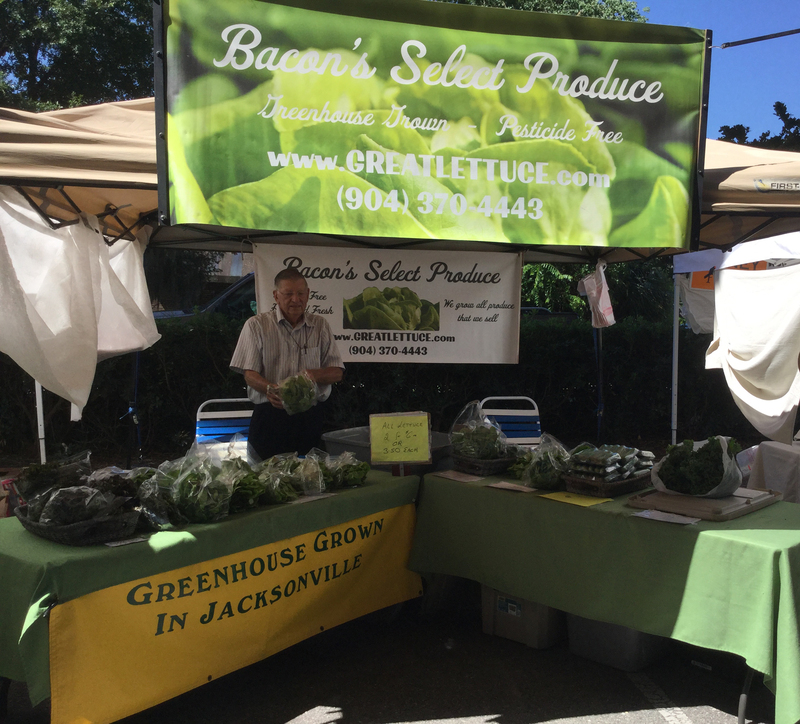 At the Riverside Arts Market, Mr. Bacon’s Select Produce offers the customers pesticide free and harvested fresh great lettuce especially grown in a greenhouse located in Jacksonville, Florida. 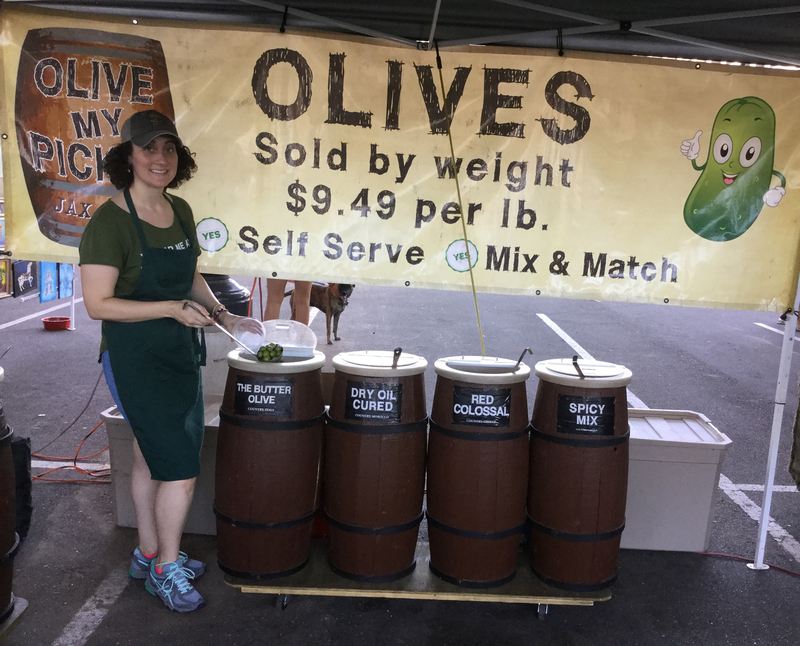 A large variety of olives are sold by weight at the Riverside Arts Market and produced by Olive My Pickle, Jacksonville, Florida. 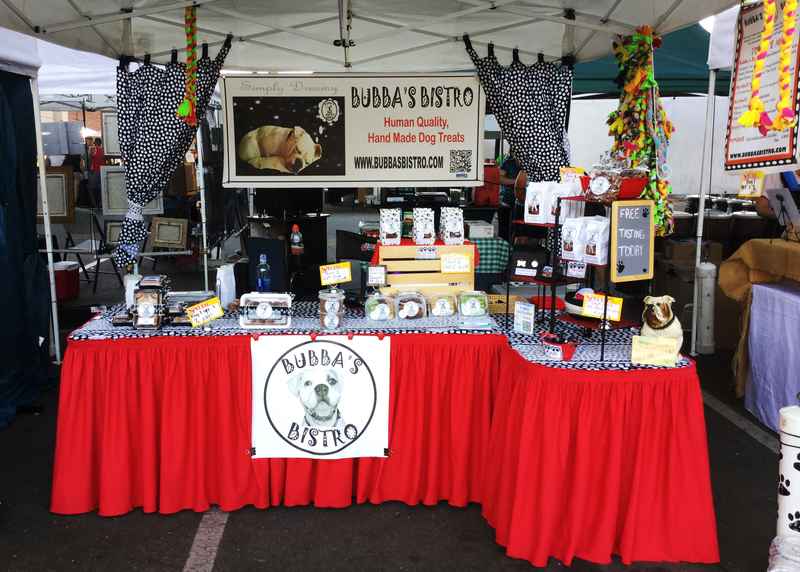 The Riverside Arts Market also features Bubba’s Bistro, a stand that sells only handmade dog treats. The Soaper Market located in Ponte Vedra Beach, Florida fabricates fresh handmade soap and sells it at the Riverside Arts Market. 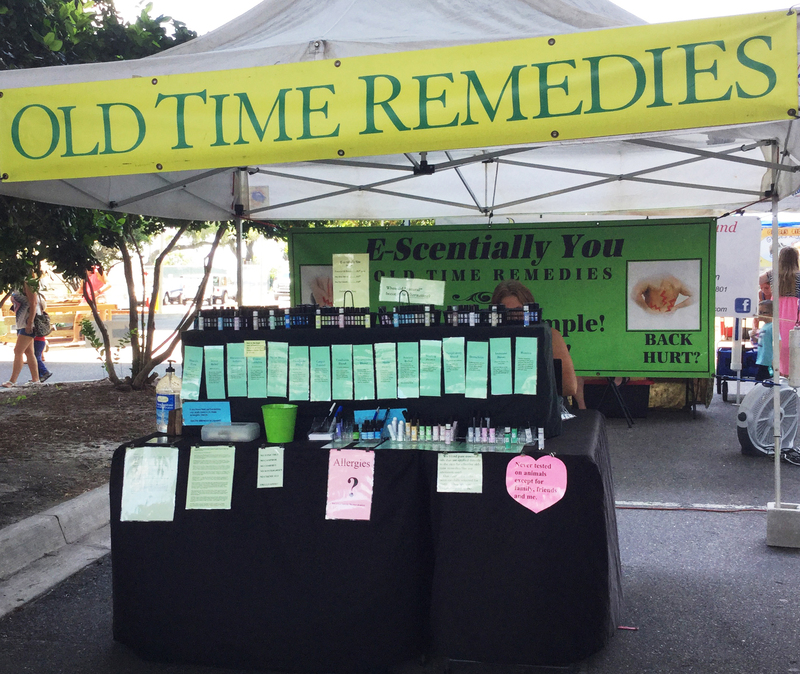 E-Scentially You is also at the Riverside Arts Market and it makes old time remedies to cure pains and allergies. A notable characteristic of these remedies is that they have never been tested on animals. 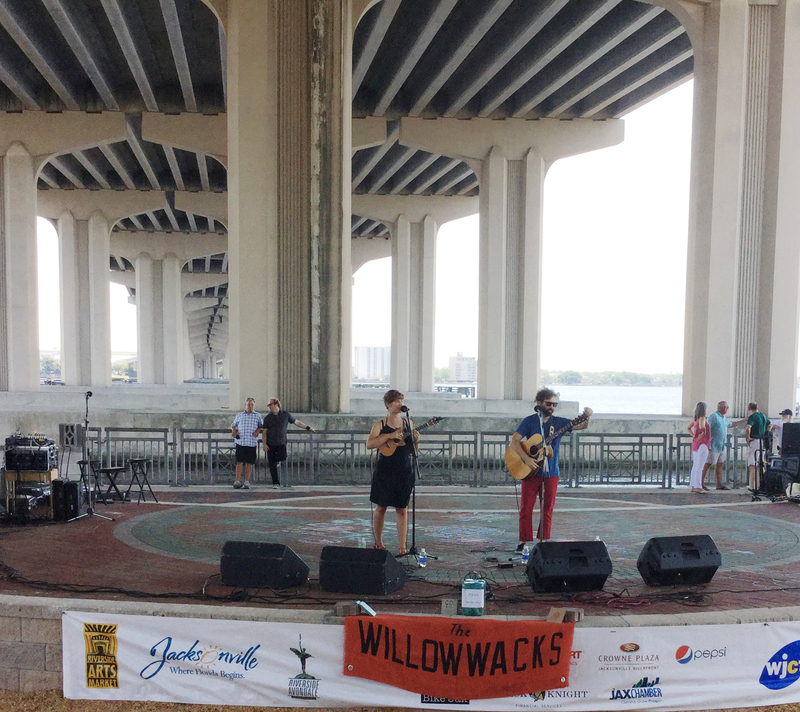 The lively Riverside Arts Market entertains visitors and vendors with different musical bands like The Willow Wacks performing on this Saturday. Food vendors like Mediterranean and Persian Catering and Delivery offers the customers a variety of Middle Eastern cuisine at the Riverside Arts Market. 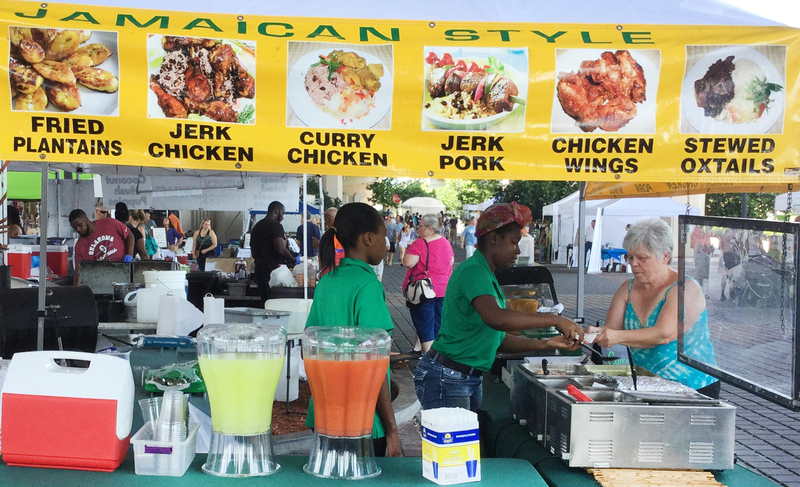 Jamaican Style is a food stand at the Riverside Arts Market. It prepares and sells Jamaican specialties. James A. 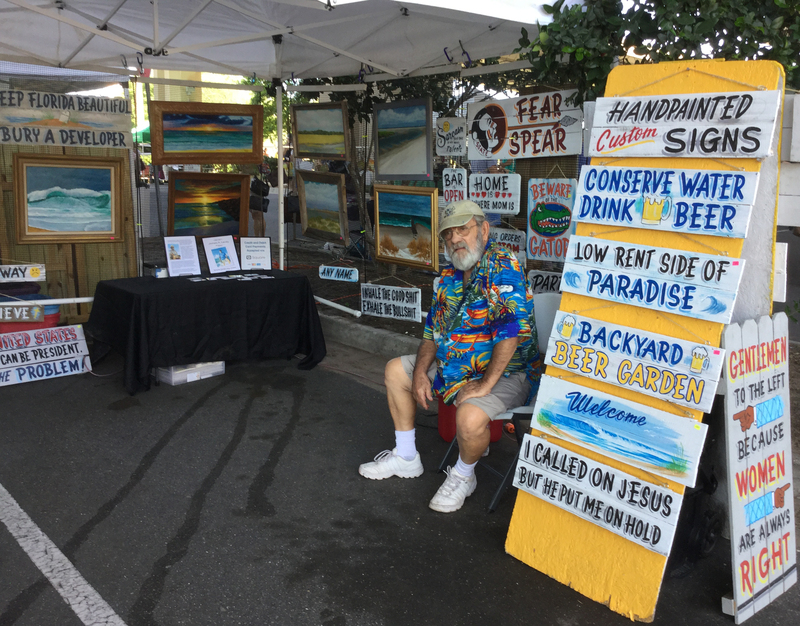 “Pappy” Lacey is a local artist who sells paintings and original signs at the Riverside Arts Market. 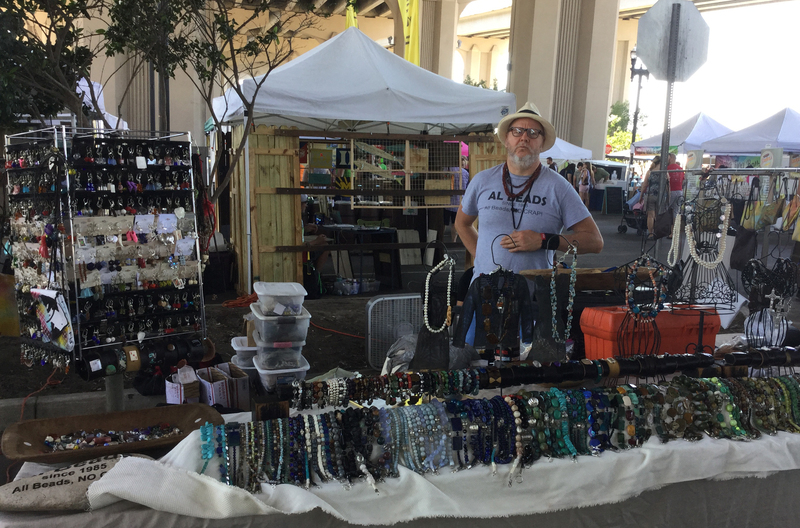 At the Riverside Arts Market, Al Beads is a local handmade jewelry that creates beautiful and colorful necklaces and bracelets made of different stones. 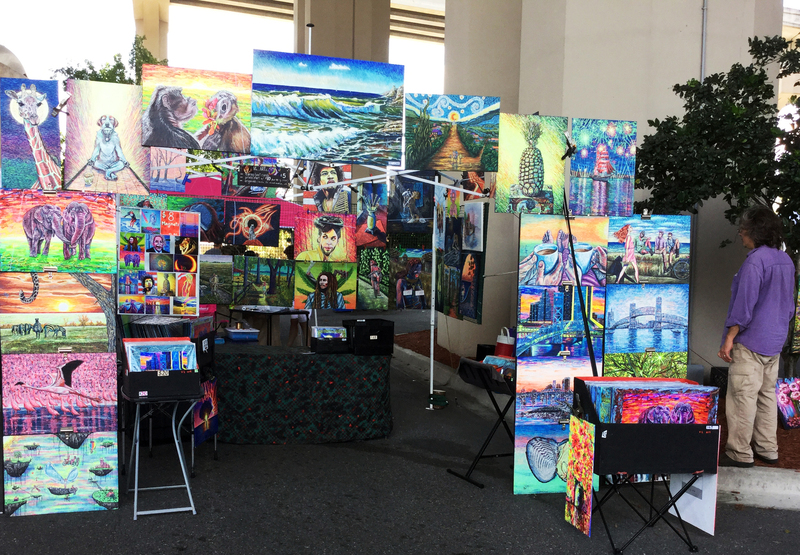 Oil paintings are exhibited every Saturday at the Riverside Arts Market in Jacksonville, Florida under the Fuller Warren Bridge at 715 Riverside Avenue. Check out their weekly event schedule on their facebook page at https://www.facebook.com/RiversideArtsMarket.